La Nación, an Argentine publication, began their article about the visit with a scene-setter describing two Secret Service agents inside the Punta del Este showroom. Four more agents tried, unsuccessfully, to blend in with the crowd of real estate buyers outside, La Nación wrote. 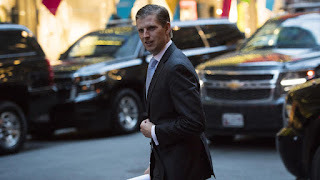 A local photographer encountered Eric Trump at La Huella, a restaurant described as the “ultimate in chic beach eating”and renowned for its grilled seafood entrees. A well-known pop singer from Argentina, Maxi Trusso, performed at the Punta del Este party honoring Eric Trump. Trusso later told the local press that he wrote a song about Donald Trump at Eric’s request. Trusso titled the composition Free and Stronger. He also said that he was invited to sing at the inauguration but declined the offer. The developer, YY Development Group, did not respond to requests for comment. But the chief executive, Juan Jose Cugliandolo, told the Associated Press last month that two-thirds of the condos were sold. “Having refused to sever his own personal financial interests, [the president] is now sending his emissaries, his sons, out to line his own pockets, and he’s subsidizing that activity with taxpayer dollars,” said Norm Eisen, a former Obama ethics adviser who is part of a lawsuit accusing Trump of violating a constitutional provision barring presidents from taking payments from foreign governments. 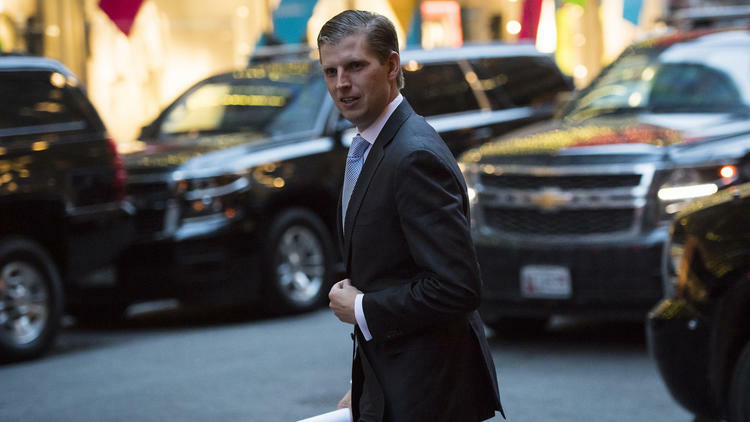 It is unusual, although not unprecedented, for trips of presidential family members to focus on the development of private moneymaking opportunities.